Beantown Baby. Hale and Hearty opens in Boston today. Now the home of the Red Sox, tea parties and Harvard has something new to cheer about. Hale and Hearty opens their first location in Boston today at 185 Franklin Street–with free soup day. 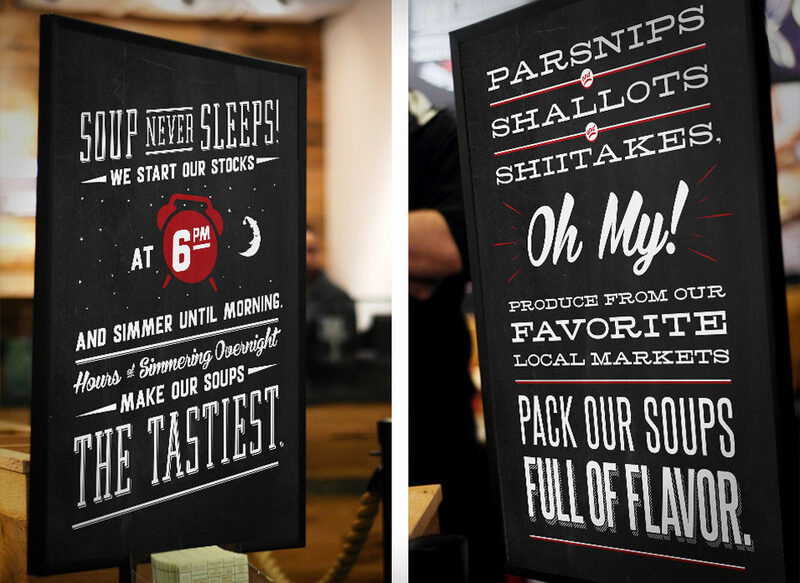 The brand new restaurant features interiors and in-store promotion created by Big Idea. The interior design was initially developed for the new Brooklyn MetrotTech location and is now making its way into all of the New York locations. The Boston store carries on the new design aesthetic with some additional bean town flavor. 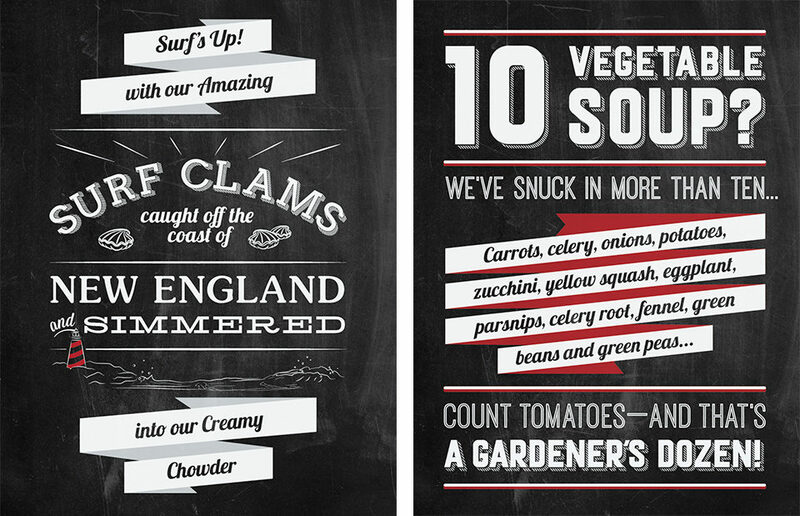 The town that loves Chowda now has even more heartwarming recipes to choose from. Hale and Hearty has created more than 500 soups and counting. So there’s always something new to try. Hale and Hearty Soups was founded in 1996, with the mission of bringing hearty, high quality, made from scratch comfort food to hungry, busy New Yorkers. 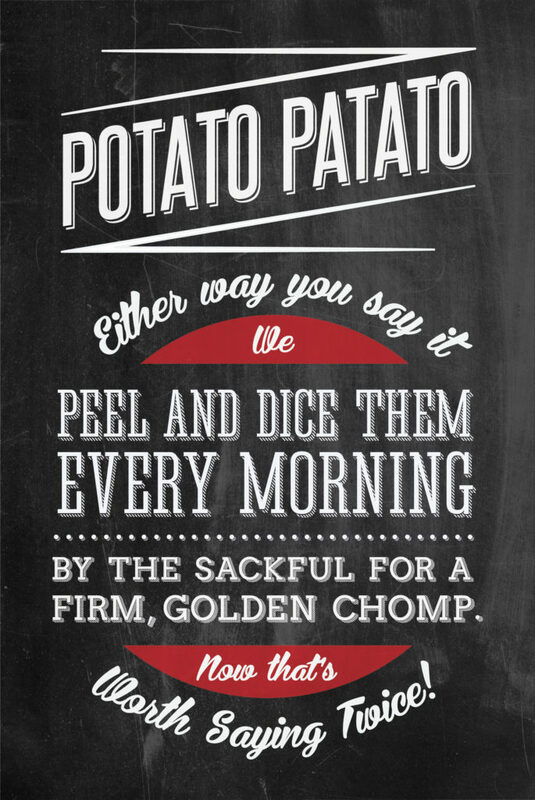 See more of the Boston location below and more of our work for Hale and Hearty here.